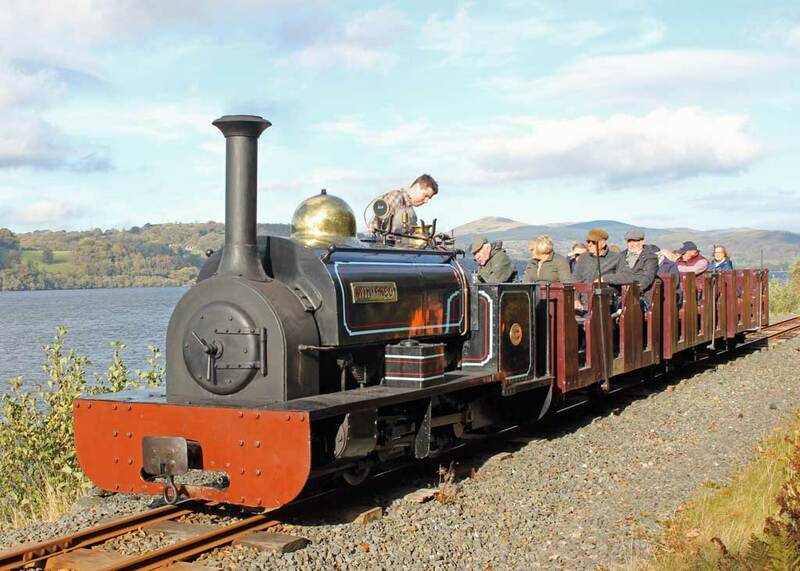 At the risk of sounding repetitive, the Bala Lake Railway has yet again broken records for passenger numbers, with the October figures being up on last year by no less than 14% and the total for the year to date showing an increase of nearly 6%. 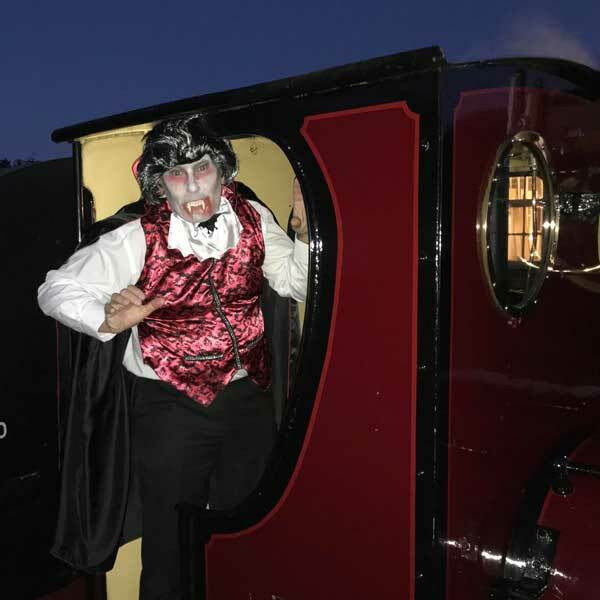 Indeed, on Saturday 27th, the total number of passengers for 2017 had been exceeded, and that was with a week to go in the Halloween season, let alone the upcoming Santa Specials in December. 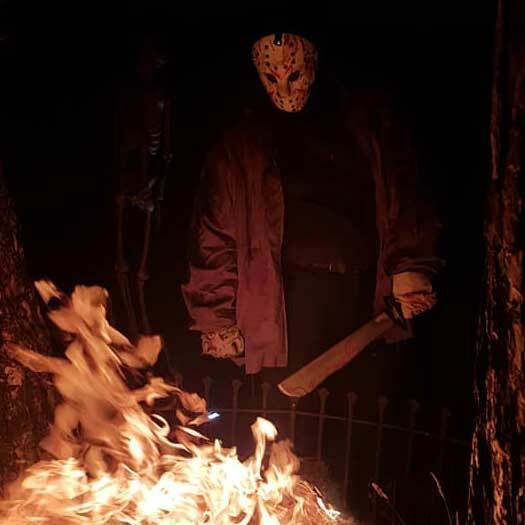 The Halloween Trains were very well attended this year with all bar one train being fully booked, the total being a cool 35% up on last year. We aim to please thus we must be doing something right, and it gives us all great pleasure to see happy faces (with one exception – see later) enjoying the railway. 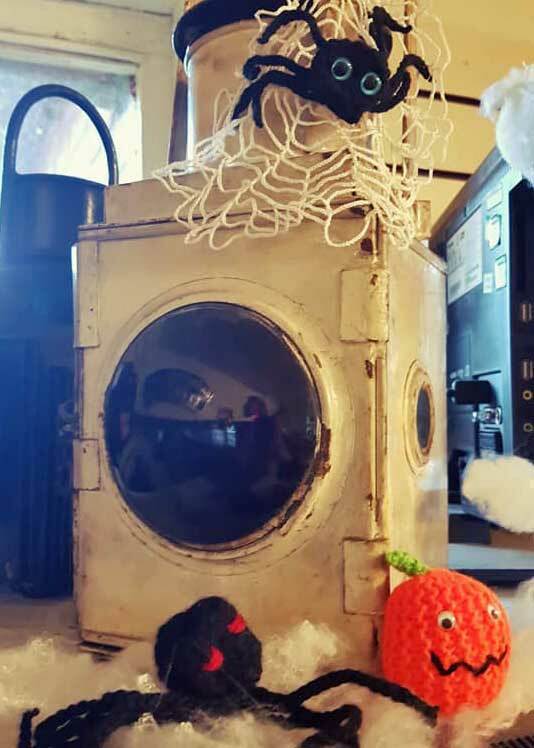 The Halloween Specials are always an opportunity for staff and volunteers to get into the spirit and dress up for the occasion. 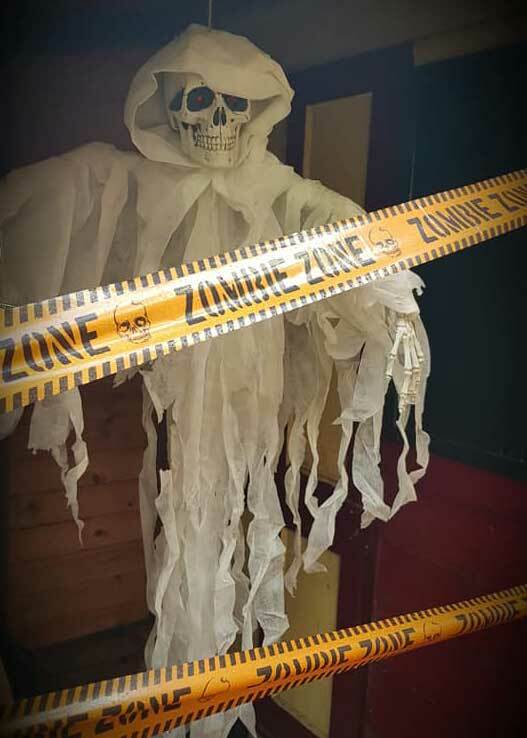 This year, there was a goodly number of skeletons, witches, ghosts and other strange characters in various locations, and one ghostly apparition at Flag Halt caused a small fright when it remained absolutely motionless until closely approached, with predictable consequences! 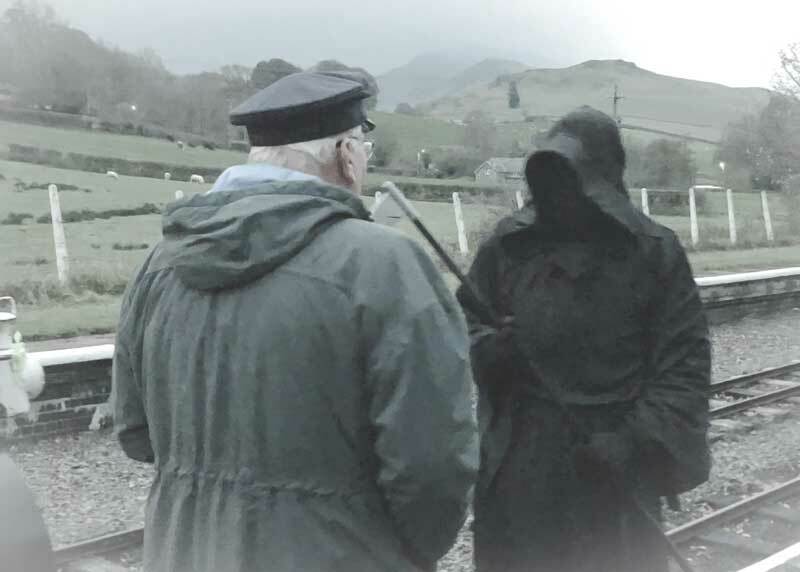 Arguably the most effective was our own General Manager who decided to prowl the platform at Llanuwchllyn dressed as the Grim Reaper, much to the consternation and alarm of one passenger who promptly changed carriages to keep him at some distance! 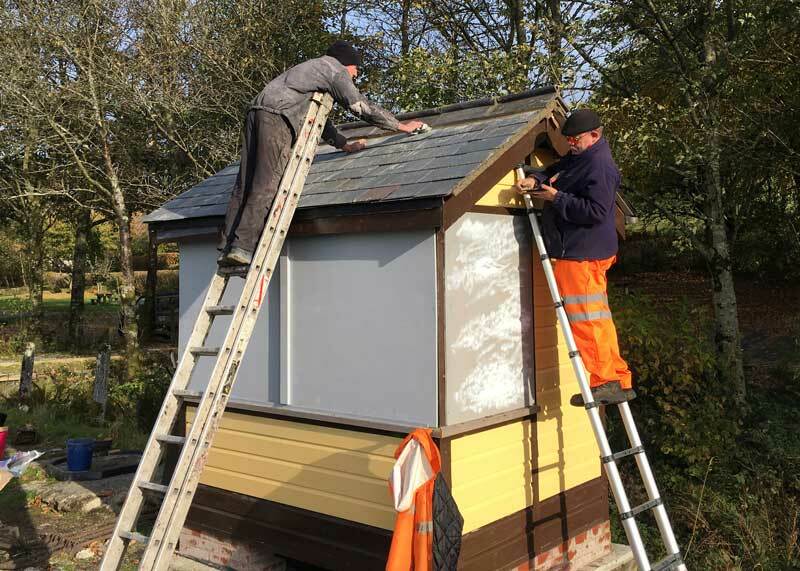 The Carriage & Wagon Team, Geoff Hodgkinson, Bob Newton, Andy Grimshaw and Rod Fairley, has had another busy month and have been continuing with the Llangower signal lever cabin which is nearing completion, but not without more banter after last month’s alleged rooftop/lack-of-flapjack mutterings. 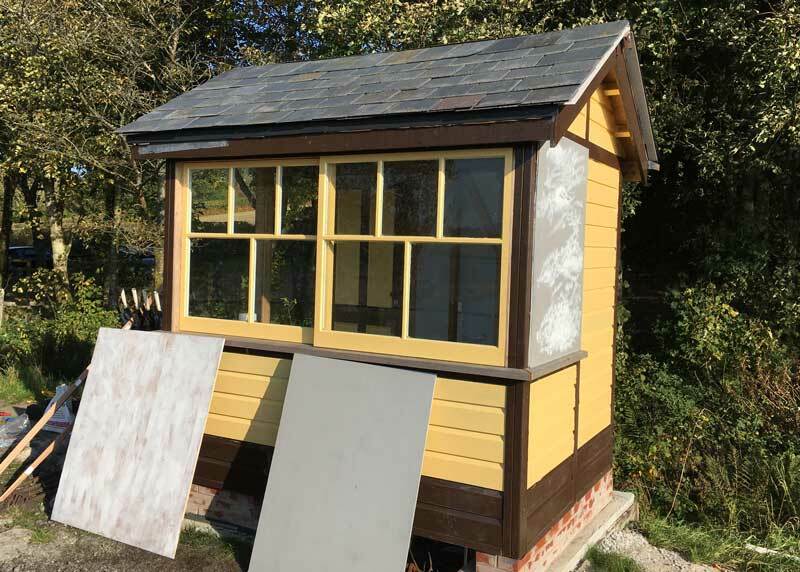 The windows have now been fitted, as has the door complete with lock, the shutters are currently held in place by screws and the ridge tiles have been cemented in place. Window catches have still to be installed to make the shutters lockable, but these will be easily removed when the cabin is in use. 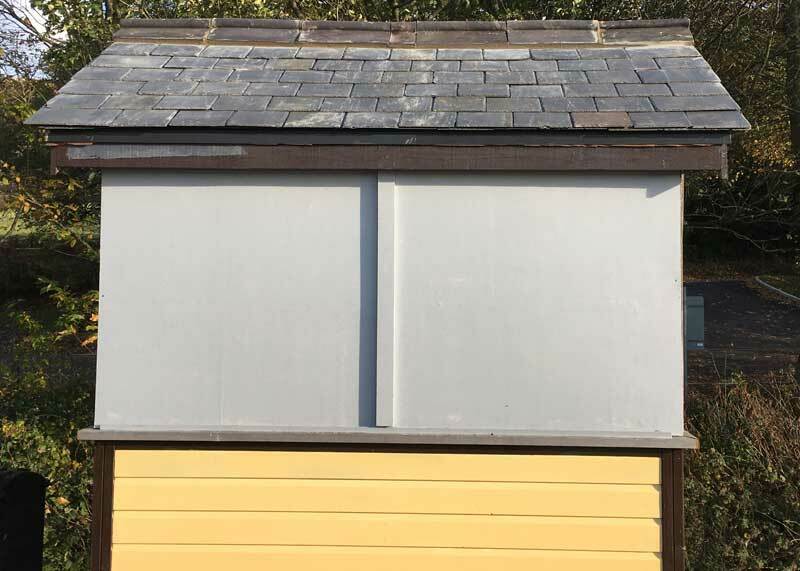 The usual banter came about because one of the team made the slates dirty while cementing the ridge tiles and, after a comment or two from another, had to polish them to get them back to pristine condition. Working in that sort of environment, with healthy banter combined with dry senses of humour, make these jobs a pure pleasure, and the photos of the near-finished article prove the point. Saturday 20th October saw the BLR turn itself into a ‘conference venue’ when it played host to the AGM of the Penrhyn Quarry Railway Society. It was a non-running day and, especially for the Society, Winifred, herself a former Penrhyn loco, was steamed while the meeting was taking place. After a ‘driver for a fiver’ session, the society members were taken to Bala and back, under perfect blue skies, in, most appropriately, the three Penrhyn open coaches behind Winifred, the rostered crew being Bob Greenhalgh and Chris Denyer on the footplate with Brian Bennett as guard. Bob’s photo shows the Penrhyn ensemble during a stop at the famous BLR ‘sea-wall’. The Penrhyn Coach progresses and David Hale has now turned his attention to the seats which readers may recall were due for imminent delivery recently. 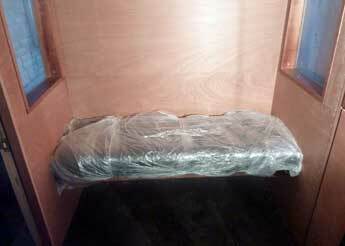 As per his photos, the battens for supporting the seats are now in place, ready to receive the squabs in due course. The cushions are still carefully wrapped but the quality of the upholstery can be clearly seen, and the pleating on the seat back lines up with that on the seat, a beautiful piece of work by Pipers of Sparkford, renowned car upholsterers. 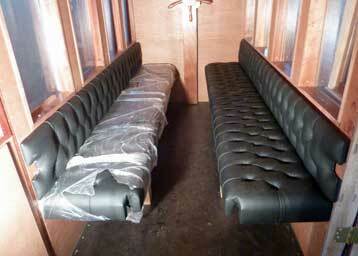 There are still several panels to be upholstered. 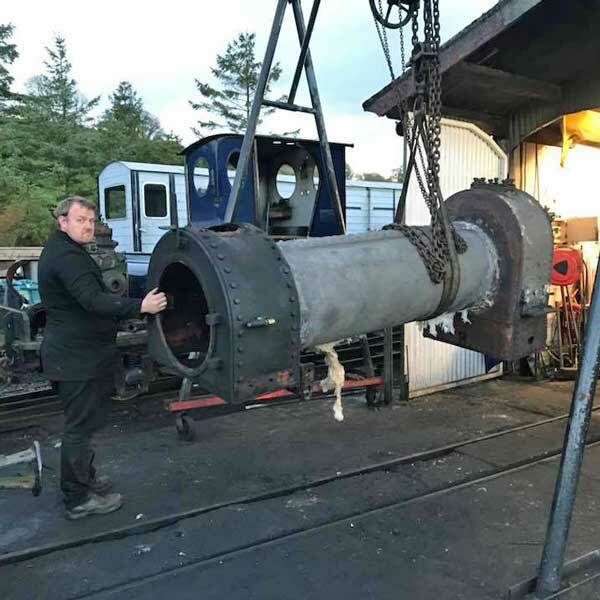 The support legs have been turned by a company near Wellington, in Somerset, and work on fitting them is scheduled to start w/c 5th November. It is anticipated that this job may take some time as not only are the legs to be fitted to the seats but also to be located into sockets in the floor. Similarly, the armrests, which are currently being made, are to be located on to dowels on the top of the legs as well as dowels fitted into the side walls of the carriage, which should lock everything securely together. Once the seats have been sorted out, the next job will be the beading to be fitted around the window liners, and to make the metal brackets for the hat racks at each end of the carriage. 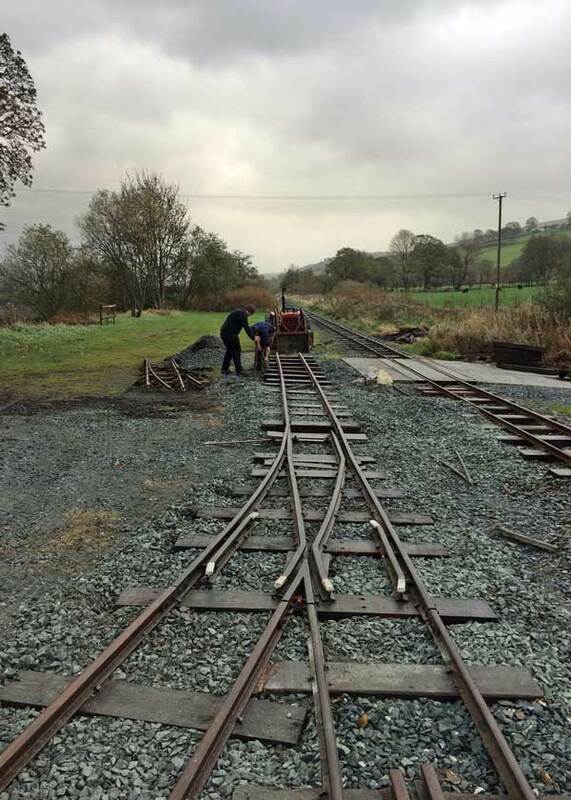 The Working Weekend and Wednesday Gang activities rather merged into one this month with the initial intention being to clear excessive foliage along the line and check culverts, but the latter became a real priority after heavy storms and wind produced torrents of detritus flowing down across the track from the hills. This year was quite serious as only a small amount of twigs and stones can bung up a culvert very quickly, leaving the water to make its own way down and usually across the rail ballast, with unfortunate consequences if not dealt with straight away. 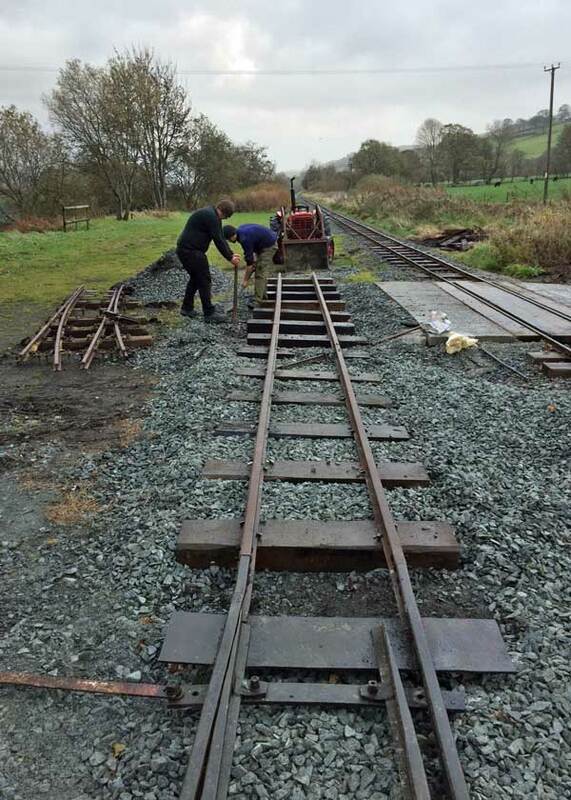 Thus it was that the Working Weekend was devoted mainly to culvert duty as well as replacing ballast where the torrent had washed it away plus making small, carefully located ditches between the sleepers to help the excess water on its way. The Wednesday Gang assembled and finished the job in characteristic form. 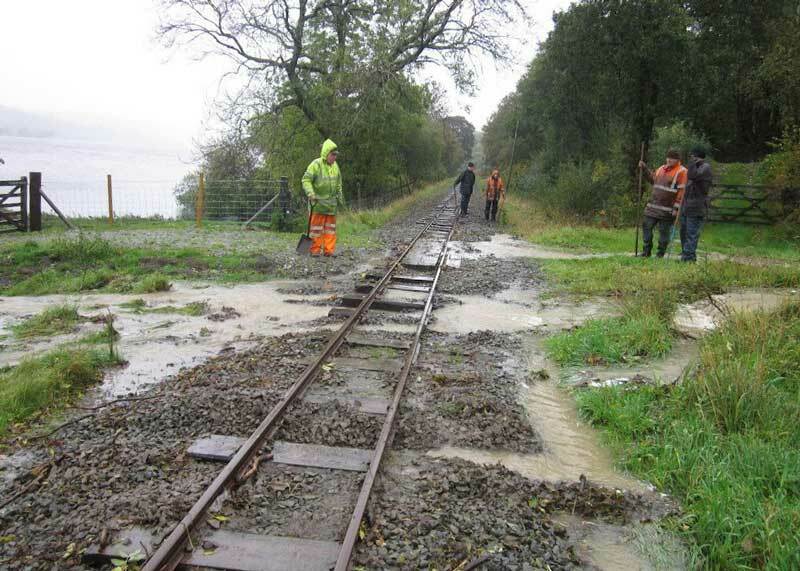 To give an idea of the sheer amount of water involved, the lane towards the Bala end of the line close to Boathouse Bridge was flooded to a depth of 18 inches, and the water had nowhere to go but to invade the railway, which illustrates how easily the track can and indeed does become flooded. Someone else’s problem suddenly becomes ours! Luckily this is a rare occurrence but we have to be ever vigilant. The Forthcoming Working Weekend on 10th and 11th November will not only be occupied with tree pruning but also with a major exercise in carriage maintenance involving a complete strip down of one carriage, fitting new side panels, new floors, painting and general refurbishment, as well as some TLC to the rest of the fleet. All this has to be completed before our Santa trains in December (see later). 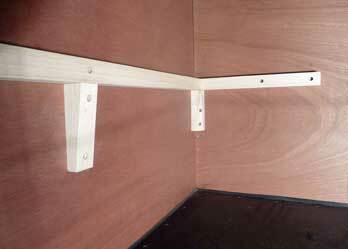 After this is done, the freshened carriage stock will be stabled in our new carriage shed until next season. 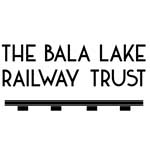 Please get in touch with the railway if you would like to help. (01678-540666). It is productive, fun and the atmosphere is unique. We would love to see you. The Locomotive News this month revolves again around the two which have been receiving simultaneous attention from our engineering team. Holy War is now in bits – literally – in advance of her 10 year overhaul, a strip-down rapidly carried out as it was only a couple of weeks ago that she was still busy. 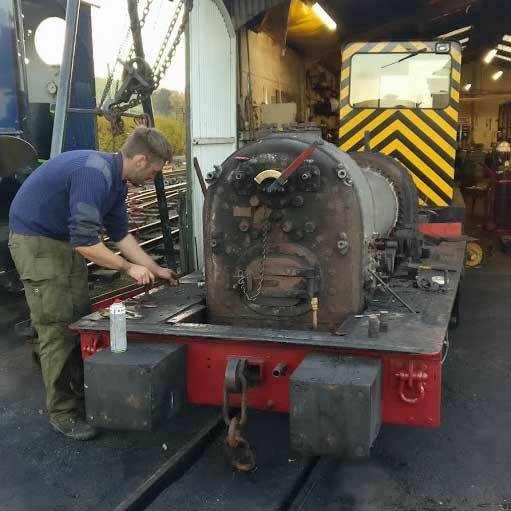 Chief Engineer Rob Houghton has her now down to her chassis, with cab and boiler removed, by now something he, together with Dan Laidlaw, can almost do by reflex. The pistons and valves have also been removed for inspection and attention, and we will feature updates regarding her reassembly. Taking her to pieces is a fairly speedy and well-practiced operation but putting everything back together (with nothing left lying around) always takes a lot longer. The progress on Chilmark is most encouraging as the intricate block ‘stitching’ on her old engine has been a great success and she has moved under her own power, the first time the old engine has run for literally decades. Further improvements will involve the dynamo being overhauled as well as attention to a sticking bypass valve on the oil pump, hardly surprising after the old engine has been sitting on a wagon in the shed for so long, but the delicious simplicity of Ruston & Hornsby engines means that most things are easily accessible. Indeed, this writer can attest to removing an engine side panel to retrieve something that had fallen into the sump, and this armed only with a pair of Marigolds! While he was busy on Chilmark, Rob managed to get the speedometer working again, this huge instrument calibrated as it is to a maximum of 10 mph! 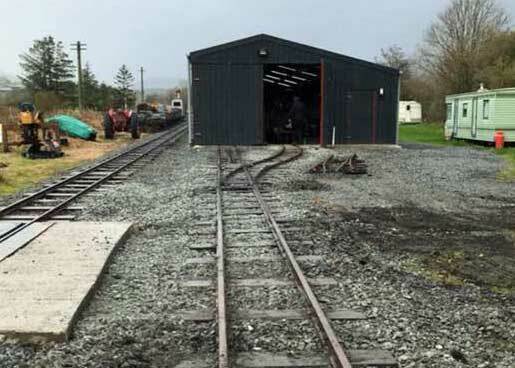 Trackwork beyond the carriage shed has now been laid and this will make it much easier for stock to be repositioned as necessary, whereas before everything had to be shunted from the station end of the yard. This will obviously give us much more flexibility and before the inevitable question is asked, it will be our intention, eventually, to join this newly laid track to the main line, thus giving even more efficiency but this is low priority and will need not only extra point-work but also signalling which is a much more involved procedure. But it will happen. And finally….. while the normal scheduled services have now ceased for the winter, activity has not stopped and apart from one private charter, there are the Santa Specials on 8th and 9th December to enjoy. Bookings so far are definitely healthy but there is still lots of room available, hence do not delay to book your tickets. Every month numerous photos are taken of the BLR, featuring staff/volunteers, the wonderful scenery, our trains etc. 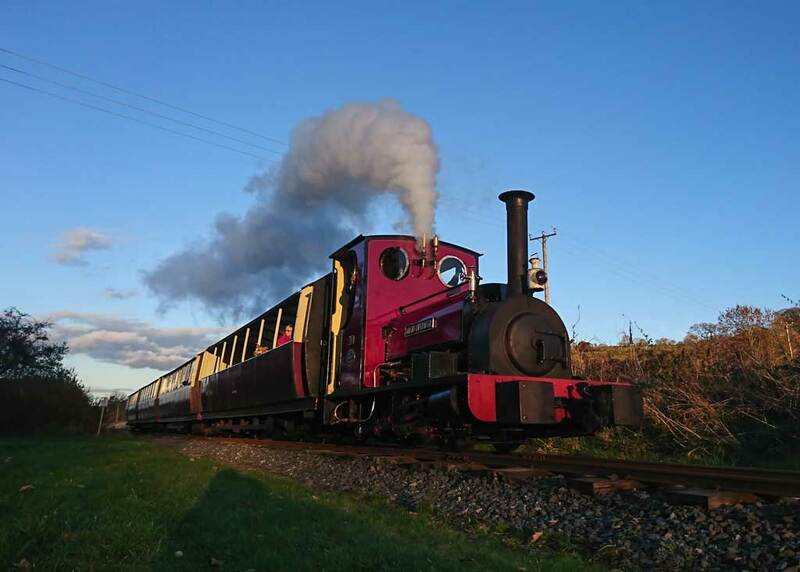 and we are delighted to feature this one from Dave Rutt showing Maid Marian looking majestic as she puffs her way back to Llanuwchllyn in the cool twilight.